I have seen this product for years and didn't believe it worked. 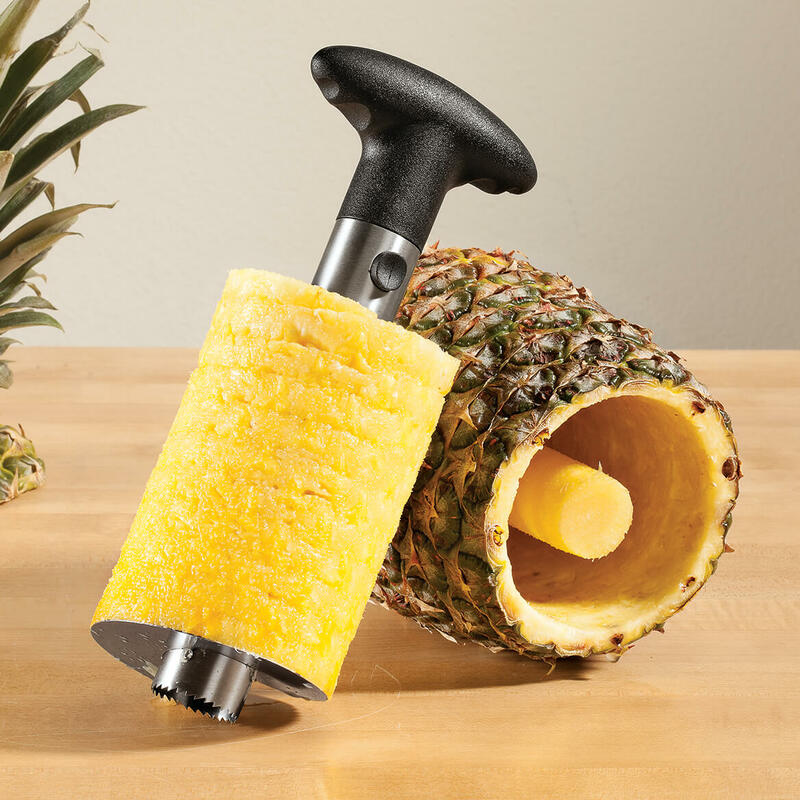 I cannot cut a pineapple and it is hard for my husband. When i saw one made in metal instead of plastic, I decided to try. It works so easily. Hard to believe. Just took a minute! I really liked this product. Someone stole the one I had. I'm ordering two. One for a gift for a friend. One to replace the one I had. My husband and I really like pineapple (fresh) and I have always done the prep the long hard way (sharp knife). I hope that this is going to work and save me time.